A lateness policy sets a standard for an Employer's expectation for staff punctuality. Tardiness is deemed when an employee is not present, and ready to begin working, at his/her workstation at their scheduled time. 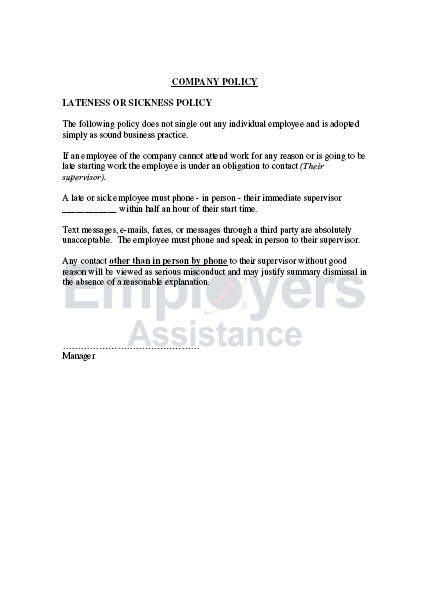 A lateness policy is a commonly adopted good business practice, and sets out the procedure required from staff when or if running late for work occurs. Setting out the ground rules across the board removes any misunderstandings and promotes the desired behaviour of staff members.